Worldwide, there has been a steady increase in corporate training spend in the last couple of years. As companies struggle to increase profit margins in a highly competitive marketplace, the workforce is seen as the real differentiator; the quality of training they are given is what gives the company an edge. Furthermore, training helps close skill gaps — a serious issue that takes a heavy toll on the revenue and growth opportunities. In consonance with the smart business practices of recent times, corporate training too has undergone tremendous changes. Gone are the days of traditional, whole-day long, generic classroom training for large batches of employees. Training videos, today, can last anywhere from 3 to 10 minutes. These compact, bite-sized videos address specific topics, or specific issues, and provide clear, in-depth information. These videos are uploaded to a webpage with an ‘employees only’ access. Several such videos constitute a complete training program. Furthermore, an employee can choose to view all or some of the videos, depending on the needs or skill levels. Face-to-face classroom training is expensive and taps several resources. In contrast, creating a training video involves just the trainer and the video designer for a short period of time. Once the videos have been viewed, the trainees can interact with the trainer through email, Skype, or in person, for focused Q&A sessions. In the past, training was generic to the subject. Corporate companies experiment today with training videos that address straightaway specific project teams, specific issues, and focused topics; they do this in order to drive better business results and maximize ROI from the training. Currently, training sessions are organized at the project team level, factoring their average proficiency in a particular skill or set of skills. In contrast, a comprehensive series of short videos can be shot to address a larger section of the employee base, across levels of skills or needs. The videos so created can be stored for posterity, edited with ease for updates, and newer videos created on a needs basis. The anytime-anywhere-any device access to training videos is quite an obvious benefit. However, videos with generous graphical content are easier to grasp, and so have become a norm of most of the corporate training programs at present; they do not require advanced English skills. 1. Simple script: Keep the script simple and to the point, without using complicated storyboards, or irrelevant comparisons. 2. Small sections and chunks: Engage the viewer by breaking up long sections or sentences into smaller sections and chunks, spread over multiple frames. 3. Common interest group: Provide contact information of the trainer for the trainees to reach out and get clarifications. Create a common interest group for this purpose, and fix a timeframe to elicit activity. 4. Voiceover artist: Choose the voiceover artist with care to ensure smooth diction, neutral accent, soothing tone, and comfortable pace of speech. 5. More visuals: Use more images, charts, whiteboard animation, and subtitles for quick grasping. However, avoid unnecessary use of special effects. 6. Pleasant background music: Use soft and catchy background music to keep the video lively and engaging. Avoid loud or distracting music. Do away with ineffective training programs altogether. 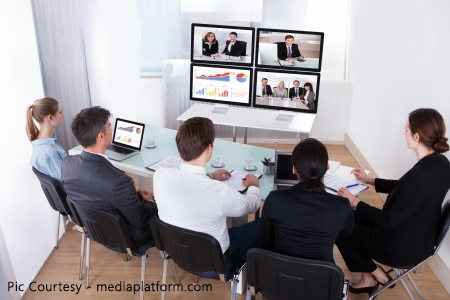 Make use of corporate training videos and be on the cutting edge of your business. It is best to consult a professional video production company to acquire this smart tool.